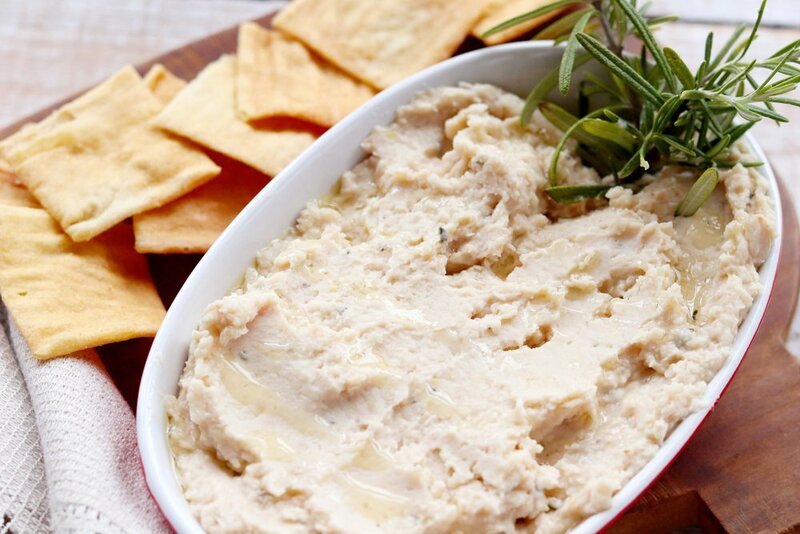 A creamy dip with a bright, slightly woodsy flavor! The American Institute for Cancer Research (AICR) recently released updated recommendations for cancer prevention (see infographic below). I like to focus on what we should eat more of as opposed to what we should restrict or limit in our diet. One food most people likely need to eat more of is beans. High in protein, fiber, vitamins and minerals, beans are loaded with good nutrition. Recommended intake of beans is 1 1/2 cups per week. This recipe combines canned white beans (that have been drained and rinsed) with garlic, tart lemon juice and zest and rosemary. 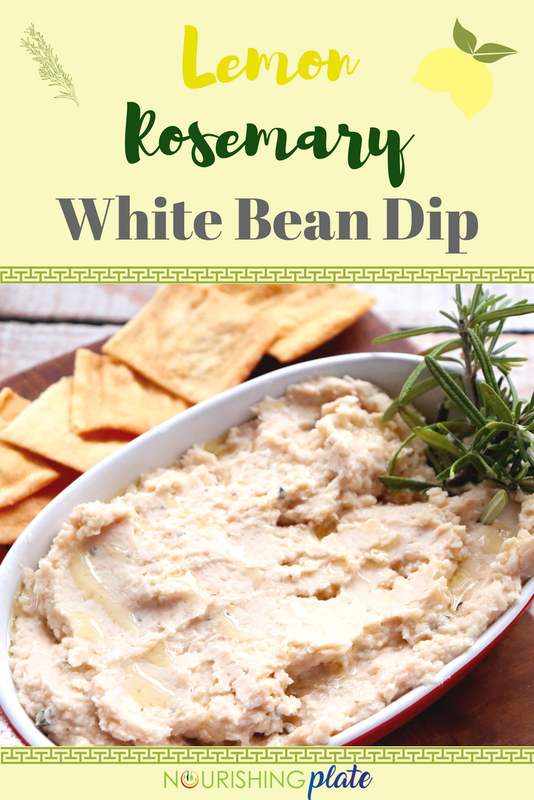 Rosemary adds a woodsy, fragrant note to the dip. Serve with crackers, raw vegetables or even as a sandwich spread. Place the beans, garlic, lemon juice and zest, salt and pepper in a blender or food processor. Pulse until combined. With the motor running, pour ¼ cup of olive oil into mixture and process until desired consistency. Stir in chopped rosemary. Transfer to a bowl and drizzle with olive oil just before serving. Mixture will keep in a covered container in the refrigerator for up to 5 days.